What is heart failure?Heart failure is a condition when heart does not pump blood efficiently. As a result, the body’s vital organs such as the brain, kidneys or liver do not receive adequate nutrients and oxygen. Common causes include coronary artery disease (blocked heart arteries), heart rhythm problems, heart valve problems or holes in heart can result in heart failure. What are common signs and symptoms of heart failure? 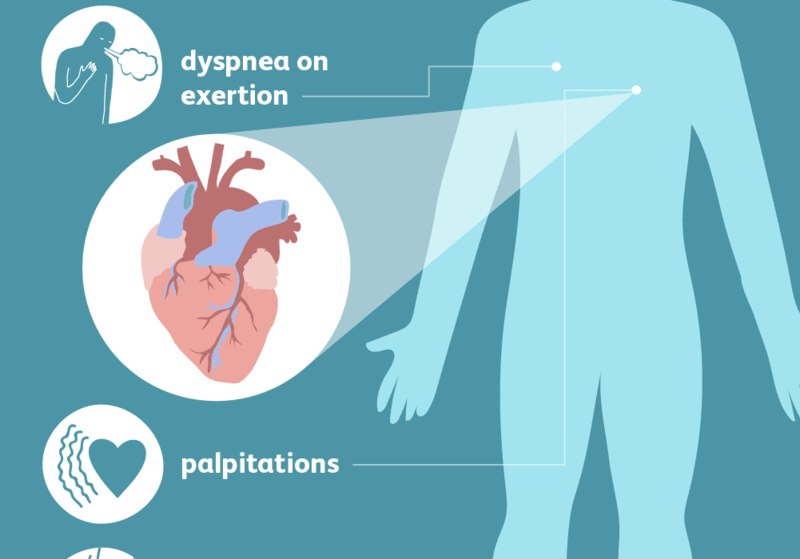 Commonly experienced symptoms include shortness of breath (dyspnea) when you exert yourself or when you lie flat, fatigue and weakness, swelling (edema) in your legs, ankles and feet. You may also experience abdominal bloatedness and loss of appetite. More serious symptoms include severe shortness of breath even at rest and coughing up of pink and foamy sputum. What are the types of heart failure? There are many different classifications of heart failure. The most common classification is based on the strength of the pumping function of the left-ventricle of the heart (ejection fraction). In a normal heart, 50 to 70% of the blood is pumped out of the left ventricle with each contraction. Heart Failure with Reduced Ejection Fraction (HFrEF) refers to patients who have heart failure and the ejection fraction of the left ventricle is less than 50%; this means that the heart’s pumping function is weak. Heart Failure with Preserved Ejection Fraction (HFpEF) occurs in patients with heart failure symptoms when more than 50% of blood is pumped out of the left ventricle with each contraction; in this case heart failure occurs because the heart muscle is stiff. Can a patient have heart failure without being aware of it? Yes. Some patients are not aware that they have heart failure until they have advanced disease. Young patients often have a lot of reserve, hence tend not to feel ill until the symptoms are serious. The second group is the elderly people. They often think that feeling breathless is part of aging and do not seek medical attention. The third group is the obese and those who lead sedentary lifestyle; they do not exert themselves much, hence may not experience symptoms of breathlessness. What are risk factors for heart failure? Generally, patients with cardiovascular risk factors such as diabetes, high blood pressure, high cholesterol and obesity have an increased risk of developing heart failure when compared to people who do not have these conditions. Heavy alcohol and cigarette smoking are adverse lifestyle habits that can also lead to heart failure. Patients with underlying heart conditions such as coronary artery disease, rhythm problems, valve diseases often go on to develop heart failure. There are also some inheritable genes that can lead to higher risk of heart failure within the family. Is smoking related to heart disease? Yes, smoking can both directly and indirectly lead to heart disease. It may affect people differently and to varying degrees because of the different genetic makeup in each of us. Smoking damages the lining of your arteries, leading to a build-up of fatty material (atheroma) which narrows the artery. This can cause angina, a heart attack or a stroke. Nicotine and other harmful substances also cause your blood pressure and heart rates to increase, and the stress hormones concentrations in your body to rise, leading to increased stress on our hearts. Treatment of mild heart failure involves simple lifestyle modification and medications. In terms of lifestyle, we recommend reduced intake of salt to less than 1.5 g per day. Depending on the severity of a patient’s heart failure and the presence of other conditions such as kidney or liver disease, we generally recommend limiting each day’s fluid intake to between 1 to 2 litres. Stop smoking and reduce alcohol intake to reduce further damage to the heart. Regular exercise is also good for heart. Medications can help stabilize the condition. It helps control heart failure symptoms, reduce the need to be hospitalised and improve survival rates. What is the advanced treatment for heart failure? Heart transplant is the ideal treatment for a patient with severe heart failure. It is generally performed for the end-stage of heart failure when other medical or surgical treatments have failed. However, it involves legislation and government policies and a comprehensive transplant programme. Ventricular assist devices are artificial heart pumps that are surgically implanted to help support the pumping function of a weak heart. The pump is implanted into the apex of the heart inside the chest through an open heart surgery. A set of wires connects the pump to batteries outside of the body. This pump helps deliver blood to the rest of the body, significantly relieving heart failure symptoms, improving quality of life and survival of heart failure patients. With some limitations, the patient can still lead a relatively normal life. At what age should people begin paying attention to heart health? We should all start paying attention to heart health from a young age, as early as 20s. After all, prevention is better than cure. People with a family history of heart disease should start going for screening tests from 5 to 10 years before the age of onset of heart disease in the affected family member. 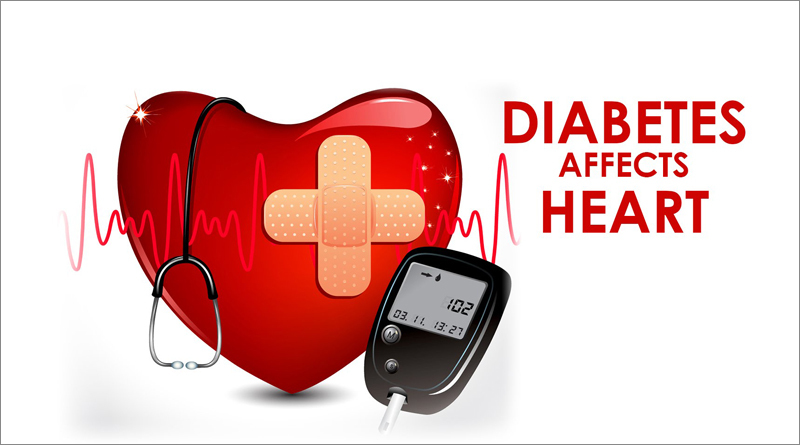 These tests include blood tests to check for cardiovascular risk factors like diabetes, blood pressure and cholesterol. An active lifestyle and abstinence from smoking is strongly recommended. Do heart diseases have any link to gender? Yes, males are more prone to developing coronary artery disease. Studies suggest that females are protected by the oestrogen hormone. After menopause, the risk for heart disease is the same for both genders. We recommend healthy diets low in sugar, salt and saturated fats. We should all eat more fruits and vegetables. Foods high in omega 3 fatty acids may also help in the prevention of heart diseases. There has been a perceptible rise in cardiovascular disease in South-east Asia. The obvious culprits here are unhealthy eating habits and lifestyle. What is your opinion on this topic? Are we oversimplifying a complex problem? What role does stress play here? I think what the physicians have said are true. They say “We are what we eat”, and our poor diet has led to a rise in conditions like high blood pressure, high cholesterol and diabetes. These are the biggest risk factors for cardiovascular diseases and are often the consequence of an unhealthy lifestyle and diet. Another risk factor is smoking. A smoker has twice the chances of getting a heart attack when compared with a non-smoker. People are also leading a more sedentary lifestyle, which also increases the risk of them developing heart disease. Most people think that stress plays a major role here since stress can lead to higher blood pressure, higher heart rate. Most physicians believe that stress does contribute to cardiovascular diseases, although it may be hard to prove this. This is simply because it is difficult to quantify stress and thus determine its impact on our body. What patients are the most susceptible to heart disease? Does genetics play a major role in determining the health of our heart? The patients with the risk factors of diabetes, high blood pressure, high cholesterol as well as the ones who smoke, are the most susceptible to heart disease. Genetics unfortunately also plays a role in determining your cardiovascular health. Having a first-degree relative suffering coronary heart disease at a young age predisposes you to also developing it. In Asia, studies have shown that individuals of Indian/South Asian ethnicity are at five times increased risk of heart disease when compared to their Chinese counterparts. If you had one piece of health-related advice as a cardiologist, what would it be? Prevention is always better than cure. Heart disease, while not 100% preventable, is certainly treatable. We need to start early by being mindful of our lifestyle choices and exercising regularly from a young age. Engaging in moderate forms of exercise for 30 minutes at least 5 days a week will be enough. We should also go for regular check-ups, to keep track of our blood pressure, cholesterol and sugar levels. One of your sub-specialty is heart transplant. The process can be grueling on the patients. What would you like to say to patients who are waiting for a heart transplant?Heart transplant is a high- risk surgery and is reserved for very sick patients with advanced heart failure. However, a heart transplant can offer a significantly better quality of life for a heart failure patient. I would encourage all potential heart transplant patients to look to the past thousands of patients who have successfully gone through the surgery for motivation and inspiration. The rate of heart transplants in the world has reached a plateau in the past 20 years. This is simply due to the limited supply of healthy donor organs. 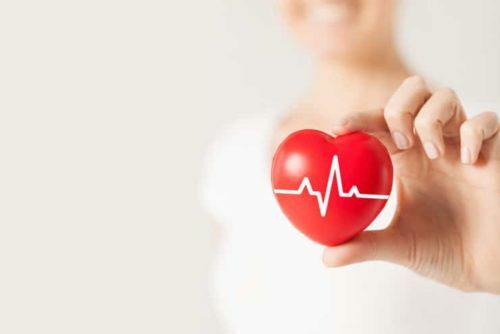 Due to an aging population, greater number of people getting cardiovascular diseases and better survival rates due to medical and technological advancements. One of the most established treatment methods for end-stage heart failure these days is the Ventricular Assist Devices (VAD), otherwise commonly known as an artificial heart pump. The VAD is implanted into the heart and its key function is to pump blood out of the heart to the rest of the body. With a VAD patients have an 80% chance of surviving beyond 2 years, based on statistics from worldwide data. In Singapore, patients who use VAD have an 80% chance of surviving for more than 4 years. What has been the most challenging aspect of working as a cardiologist? I have witnessed many patients who were on the brink of death. It is heart-wrenching when we cannot manage to save a patient despite our best efforts. On the other hand, it is extremely rewarding when a patient survives and recovers fully. I think the most challenging part of working as a cardiologist is going through these critical situations with the patients, keeping my emotions in check and not let them affect my objectivity. Not everyone resorts to this go-to course of action when they have found themselves tossing and turning in bed deep into the night, maybe because they can’t quite catch their breath even at rest. You might also feel that your heart races faster than your capacity to keep track of the beats, and if you sit down, you might notice unusual swelling in your legs and even abdomen. What you might not realise is that this is exactly when to call a cardiologist. Heart diseases are no better than a plague in fast-growing Bangladesh. In fact, World Health Organization (WHO) identifies cardiovascular diseases to be the top cause of mortality and morbidity in 2018, with 3 out of 4 people with the risk of developing a cardiac disease in their lifetime. In the vast group of heart diseases, however, what you need to worry about a little more than others is, perhaps, heart failure. The key word being ‘efficiently’ here, heart failure can be of varying degrees and stages. But the tricky bit lies in the fact that the condition’s prominent symptoms often go overlooked. So, the question remains; who are the people most likely to miss symptoms of heart failure? Firstly, young people in the prime of their lives have quite a bit of reserves, and tend not to feel sick until a serious illness manifests advanced symptoms of a deteriorating condition. This is exactly what can prove detrimental for them, especially if signs of end-stage heart failure are detected too little too late. Secondly, people prone to a sedentary lifestyle, especially the ageing population of a country, fail to even exert themselves enough to notice alarming symptoms, or brush off symptoms such as shortness of breath and palpitations as part of ageing and do not realise they are ill in the first place. The perfect solutions to the negligence is simply to opt for a healthy lifestyle to begin with and regular check-ups, as prescribed by your physician. But before we jump to the ways to combat the issues of a diseased heart, it’s important to acknowledge that the condition occurs in stages; four, to be exact (just like in cancer). Heart failure can be diagnosed at a pre-symptomatic stage, or only in advanced disease. In the first stage of the disease, the patient may be looking at ‘a high risk of developing heart failure.’ Characterised as pre-heart failure (or Stage A heart failure), conditions such as high blood pressure, blocked arteries, diabetes or even an addictive habit of nicotine and alcohol abuse puts one at risk of developing heart failure in the future. Consulting a physician to keep these risk factors of heart disease in check is in your best interest here. “Simple lifestyle modifications such as quitting bad habits like smoking, lowering salt intake and undertaking regular exercise can work hand-in-hand with medications, which have advanced by leaps and bounds in the past decade alone,” explains Dr Lim. Here, medications can target other cardiac diseases or even blood pressure and lower overall risk of developing the chronic condition known as heart failure. The second stage of the condition (Stage B heart failure) has a structural disorder of the heart, but does not manifest overt symptoms of heart failure yet. Make no mistake, this scenario is also not to be taken lightly as previous conditions like heart attacks, detection of the walls of the ventricles having a hole or an obstruction, or even heart valve diseases can eventually lead to the development of heart failure symptoms. But the good news is that a harmonious balance of lifestyle changes, medications and careful monitoring of the distrait heart will ensure healthy prospects. Consequently, Dr Lim recommends, “Physical activity which is good for the heart in the long run, medications known to reduce mortality and hospitalisation and keeping track of symptoms can lead to a good quality of life for people suffering from heart failure.” Moreover, possible surgeries such as intervention for coronary blockage, or repairing valves (which are essentially “doorways” inside your heart, ensuring blood flows in the right direction) may be considered by your trusted physician. This leads us to the third stage (Stage C heart failure). Here, serious measures must be taken as patients will now be said to have clinical heart failure. Symptoms may be experienced with even mild exertions and physical activities. A point of note here is that the severity of signs and symptoms can vary from person to person. “For example, if you are an athlete who runs 5 kilometres every day, with heart failure, you may run out of breath at just 2 kilometres or even 500 metres. You will notice a significant reduction in your tolerance as compared to your baseline. Even walking up a flight of stairs might be difficult for them, or maybe just walking about a room may feel like a chore,” defines Dr Lim. Now, physicians might recommend steps like reducing water and salt intake. The why of it is rather interesting. When the heart fails to pump blood efficiently around the body because of a weakened heart muscle, blood may flow slowly in the vessels, resulting in fluid leaking out of the blood vessels due to high pressure. This may lead to leg or abdominal swelling, poor appetite, and even cause water to enter the lungs, which is located right next to the heart. “Patients get out of breath as they are literally drowning,” states Dr Lim. This is also why diuretics, or water pills might be prescribed with fluid restrictions at this stage. Other than that, pacemaker-like devices, called implantable cardiac defibrillators (ICDs), which are electronic devices to monitor the rhythms of the heart to prevent cardiac arrest, may also be recommended/implanted as patients with severely weak heart function are at increased risk of lethal arrhythmia. This brings us to the final stage of heart failure (Stage D heart failure), where the condition does not seem to get better even with conventional treatment. “After trying medication to tweak the system and make the heart beat harder, at one point, it may feel like “flogging a dying horse.” And that is exactly when we might need a “boost” in the form of a ventricular assist device (otherwise known as an artificial heart pump). A good quality of life is still possible after a successful operation to implant this pump,” explains Dr Lim. Ventricular assist devices or artificial heart pumps have been invented to support a badly damaged heart and help cardiac function. Of course, heart transplantation can also be an option, but with long waiting periods, and limited donor pools, not to mention that Bangladesh is still lagging behind in this regard, these electronic rescuers help about 80 percent of patients survive the long wait for a donor heart. “Ventricular assist devices, in particular, are what’s exciting in the field of heart failure. It is basically a heart in a box,” comments Dr Lim. The device simply pumps blood from the lower chambers of the heart to the rest of the body and is especially useful to patients with an advanced case of heart failure, ultimately saving their lives. These devices have become smaller and more durable in the past decade and the risks of the surgery have also reduced significantly in recent years. 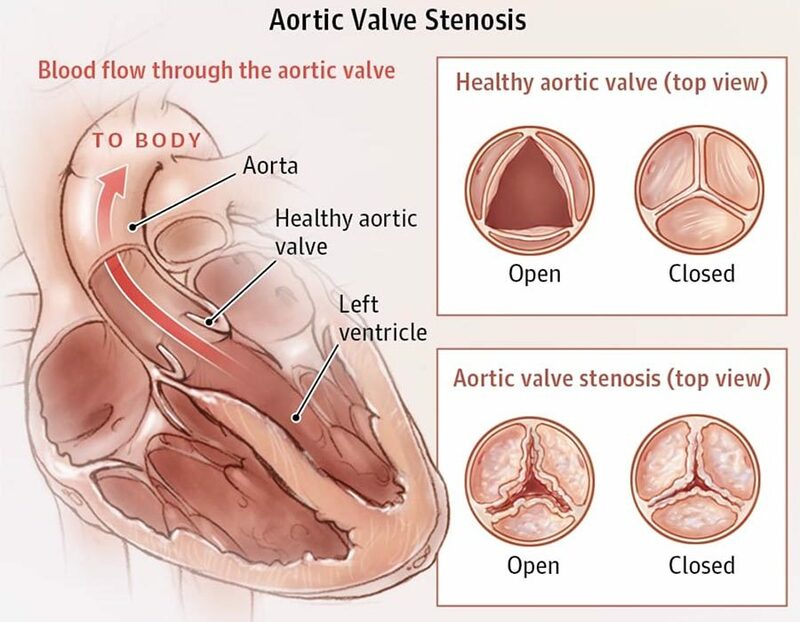 Aortic stenosis is the narrowing of the aortic valve, which may be caused by degeneration and calcium deposits or congenital aortic valve disease, such as bicuspid aortic valve. The heart supplies the rest of the body with oxygenated blood through the aortic valve. They may be no outward symptoms. These could also be symptoms of heart failure. If you have any of these symptoms and have been diagnosed with heart failure, ask your doctor to also test for aortic stenosis. What are the Risk Factors for Aortic Stenosis? Birth defect: Some people are born with an aortic valve that has only one or two leaflets instead of three. This may not cause any problems until adulthood, at which time the valve may begin to narrow or leak. Rheumatic fever: This may result in scar tissue on the aortic valve, which can narrow it or can create a rough surface where calcium deposits can collect. Radiation therapy: In rare cases, calcification of the aortic valve can occur more quickly in patients who have received radiation treatment to the chest. Who is Affected by Aortic Stenosis? Aortic stenosis is a common public health problem affecting millions of people around the world. It is estimated that up to 12.4% of people over age 75 have aortic stenosis. About 80% of adults with symptomatic aortic stenosis are male. What Happens When Someone Has Aortic Stenosis? Overtime, the leaflets of your aortic valve become stiff, reducing their ability to fully open and close. When the leaflets don’t fully open, your heart must work harder to push blood through the aortic valve to your body. Eventually, your heart gets weaker, increasing the risk of heart failure (your heart cannot supply enough blood to your body). 5-year survival rate (distant metastasis) of lung cancer, colorectal, breast cancer, overian cancer and prostate cancer compared to severe inoperable aortic stenosis. What Tests are Used to Diagnose for Aortic Stenosis? Auscultation: Your cardiologist will use a stethoscope to listen to the sounds of your heart. Electrocardiogram (ECG): Sensors are attached to your skin to measure the electrical impulses given off by your heart, displayed as waves on a monitor or printed on paper. Chest X-ray: An X-ray Image of your chest allows your doctor to check the size and shape of your heart. A chest X-ray can also reveal calcium deposits on the aortic valve. Echocardiogram: This is also known as an ultrasound; it uses sound waves to produce an image of your heart, which helps your doctor closely examine the aortic valve. Cardiac Catheterization: In this test, a dye is injected into your heart through your arm or groin to make you heart more visible on an X-ray. What are the Treatment Options for Aortic Stenosis? Treatment for aortic stenosis depends on how far yourdisaes has progressed. If you stenosis is mild, medication may be prescribed to help regulate your heartbeat and prevent blood clots. However, if the severity of your stenosis progresses, it may be recommended that the diseased aortic valve needs to be replaced. Severe aortic stenosis cannot be treated with medication. The only effective treatment is to replace your aortic valve. Today there are two options to replace your diseased aortic valve. TAVI may be a better option for people who have been diagnosed with severe aortic stenosis depending on their risk for open-heart surgery. TAVI (sometimes called transcatheter aortic valve replacement of TAVR), is a less-invasive procedure than open-heart surgery. This procedure uses a catheter to implant a new valve within your diseased aortic valve. TAVI can be performed through multiple approaches, however the most common appoach is the transfemoral approach (through a small incision in the leg). Only professionals who have received extensive training are qualified to perform the TAVI procedure. Aortic valve replacement through open heart surgery is another option for treating severe aortic stenosis. Most open heart sugeries are performed through an incision across the full length of the breast bone, or sternum. Occasionally open heart surgeries can be performed through smaller incisions. Open heart surgeries, including those performed through smaller incision, both require the use of a heart lung machine which temporarily takes over the function of the heart. During the procedure, the surgeon will completely remove the diseased aortic valve and insert a new valve. There are two different types of surgical valves: mechanical (man-made material) and biological (animal or human tissue). The aortic valve allows blood to be pumped out of the heart to the rest of the body. With aging, the aortic valve may become narrowed (aortic valve stenosis [AS]). When the valve narrowing becomes severe, patients develop breathlessness, fainting spells and chest discomfort. Left untreated, the death rate is high, with up to 50% of patients dying from the condition within 2 years. Open heart surgery to replace the aortic valve is the conventional method of treating this disease, relieving patients of their symptoms and prolonging their life span. For many elderly patients and for patients with other debilitating diseases (for example those with very poor heart function, severe lung disease, end stage renal failure on dialysis etc), the surgical risk for open heart surgery is high, and some patients are even considered inoperable. A relatively novel method of “replacing” this aortic valve was first performed in a human in 2002, as an alternative to open heart aortic valve replacement (AVR) in a “no surgical option” patient. A small incision was made in the patient’s groin and a new valve was delivered via a catheter (tube) into the heart and implanted within the patient’s native aortic valve. This technique has been termed “Transcatheter Aortic Valve Replacement or Implantation” (TAVR/ TAVI). Currently, this minimally invasive method is mostly performed via a small puncture in the groin, although in a small number of patients, other access sites are required (via the subclavian artery in the chest, via the aorta directly or through a 5-6 cm incision in the left chest wall). The groin approach is the least invasive and thus preferred. Unlike open heart surgery to replace the aortic valve, with TAVR, the patient does not need the chest cracked open, the heart is not stopped and the transcatheter heart valve is implanted on a beating heart, the native aortic valve is not removed and the newly implanted transcatheter heart valve is not sutured in place. The procedure can also be done under local anesthesia for the groin approach. There are 2 transcatheter heart valves commonly used: The Sapien XT transcatheter heart valve made by Edwards Lifesciences and the CoreValve made by Medtronic. There are now over 130,000 implants worldwide using these 2 valves. Several large randomized studies have shown the promise of this technology. The PARTNER trial (using the Sapien valve) showed that TAVR was superior to (better than) medical therapy in patients with severe aortic valve stenosis (AS) who were inoperable and was non-inferior (equal) to open heart AVR in patients at high surgical risk. Very recently, the CoreValve trial demonstrated that TAVR using the CoreValve was superior to (better than) open heart AVR in high risk patients. Thus TAVR is now the treatment of choice for inoperable patients and may be a safer treatment option in patients at high surgical risk. Up till recently however, the transcatheter heart valves though safe and effective, could not be repositioned or recaptured if they were implanted in a suboptimal position. In effect, the team had “one chance” to optimally deploy the valve. In January 2015, two repositionable and recapturable valves became available in Asia – the Medtronic CoreValve Evolut R and the Boston Lotus valves. These new generation transcatheter heart valves can be recaptured and repositioned if the initial implant position is deemed suboptimal, and can even be removed from the body if a smaller or larger sized valve is required. These features increase the accuracy and safety of the procedure. Mount Elizabeth Hospital became the 1st hospital in Asia to perform TAVR/TAVI with these 2 valves. The cases were successfully performed under local anesthesia and sedation, via an access in the groin. These new generation valves are indeed a “game changer” and will offer many patients with severe aortic valve stenosis not only an alternative treatment with TAVR/TAVI, but also a more accurate and safer TAVR/TAVI procedure. A new technique called transcatheter aortic valve implantation (TAVI) presents a less invasive treatment option for aortic stenosis, and eliminates the need for open-heart surgery. Aortic stenosis is where the aortic valve becomes narrowed due to long-term build-up of calcium deposits, leading to degeneration of the leaflets around the valve opening, which subsequently become stiff and immobile – greatly obstructing blood flow. In the past, risky open-heart surgery to replace the valve was the best available option for severe cases. During a TAVI procedure, catheters are fed through a small incision in the groin. 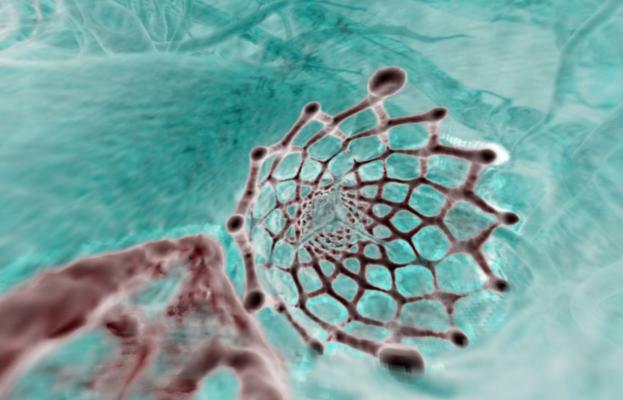 An artificial valve – comprising of a tissue mesh nestled within a frame-like stent – is inserted into the heart via the femoral artery; the tissue mesh essentially replaces the native leaflets. Due to the nature of the procedure, it can even be performed on local anaesthesia. However, the artificial valve may have a 25-30% chance of suboptimal positioning, leaving residual mild to moderate leaks between the newly implanted valve and the native tissue. The CoreValve Evolut R valve, a new and advanced 2nd generation TAVI valve, has enhanced safety and accuracy over older models. The Evolut R valve allows doctors to recapture or reposition the valves to a more optimum position; or replace them with a differently-sized implant – an improvement over its predecessors. In the case of 80-year-old patient Ms. Amelita Go, who was diagnosed with severe breathlessness caused by aortic stenosis, she was found to possess other conditions that could complicate her heart procedure. She had a very narrow aortic root and low left coronary artery. Due to the narrow aortic root, an additional procedure – a root enlargement – would be required during surgical valve replacement, which would greatly increase the risk of the surgery. A TAVI procedure also ran the risk of blocking off the left coronary artery, resulting in a heart attack or even death. Ms. Go became the first person in Asia to receive the Evolut R valve at Mount Elizabeth Hospital Novena, the first private hospital in Asia to have utilised this new technology. Her surgeon, senior consultant cardiologist Dr. Paul Chiam, is the first cardiologist in the hospital to have successfully performed the TAVI procedure using the Evolut R valves. “Being able to reposition the valve minimises residual leakage and improves symptom relief and survival. Furthermore, in case her left coronary artery became blocked, we could have recaptured the valve; this wasn’t possible with the 1st generation valve. Thus the procedural safety was enhanced with the newer valve,” explained Dr. Chiam. After a successful procedure, the patient went on to have a full recovery. As in the case of Ms. Go, advanced age or other risk factors may seriously complicate any procedure. The Evolut R valve system significantly reduces the risk factors of TAVI procedures, even for those with severe aortic valve narrowing at high surgical-risk. Ultimately, patients will have an improved outcome and a better quality of life. The aortic valve allows blood to be pumped out of the heart to the rest of the body. With ageing, the aortic valve may become narrowed. This is known as aortic valve stenosis (AS). When the valve narrowing becomes severe, patients develop breathlessness, fainting spells and chest discomfort. Left untreated, the death rate is high, with up to 50% of patients dying from the condition within two years. 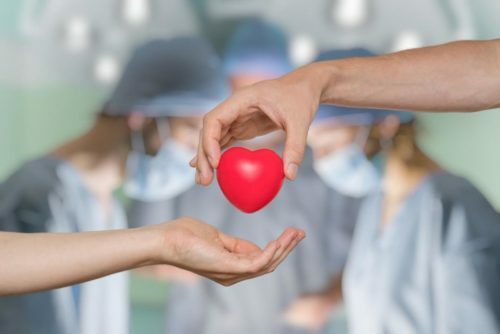 Open heart surgery to replace the aortic valve is the conventional method of treating this disease, relieving patients of their symptoms and prolonging their lifespan. However, for many elderly patients and for those with multiple co-existing illnesses, the surgical risk for open heart surgery is high, and some patients are even considered inoperable. small number of patients, other access sites are required (via the subclavian artery in the chest, via the aorta directly or through a 5 – 6 cm incision in the left chest wall). The groin approach is the least invasive and thus preferred. 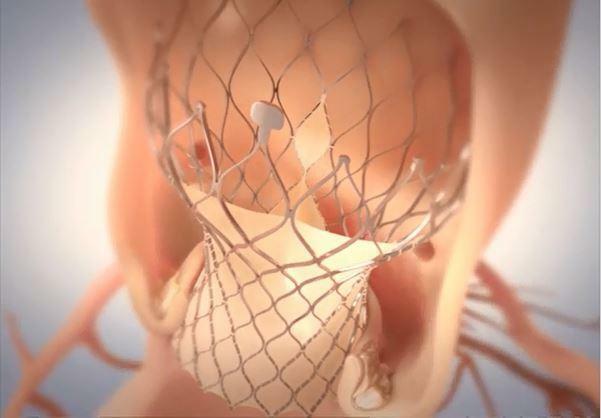 More than 140000 patients worldwide have undergone this procedure using two transcatheter heart valves (a transcatheter heart valve is a stent with a new valve sutured within the frame): the Sapien XT transcatheter heart valve made by Edwards Lifesciences and the CoreValve made by Medtronic. Studies have shown that TAVR was superior to (better than) medical therapy in patients with severe AS who were inoperable, and was non-inferior (equal) or superior to (better than) open heart AVR in patients at high surgical risk. Up till recently, however, the transcatheter heart valves, though safe and effective, could not be repositioned or recaptured if they were implanted in a position that was less than optimal. In effect, the surgical team had “one chance” to optimally insert the valve. In January 2015, two repositionable and recapturable valves became available in Asia – the Medtronic CoreValve Evolut R and the Boston Lotus valves. These new generation transcatheter heart valves can be recaptured and repositioned if the initial implant position is deemed too high or too low, and can even be removed from the body if a smaller or larger sized valve is required. These features increase the accuracy and safety of the procedure. In addition, the Boston Lotus valve has an external “skirt” which is an additional feature to reduce leakage between the newly implanted transcatheter heart valve and the patient’s native tissue. Such leaks between the new valve and the patient’s tissue have been shown to impair long term survival – thus, the lesser the amount of such leaks, the better the longer term outcome for the patient. Other valves are also being modified to include this external “skirt” feature. Our team at Mount Elizabeth Hospital successfully performed TAVI/TAVR in two patients in January – using the CoreValve Evolut R and the Boston Lotus valves – under local anaesthesia and sedation, via an access in the groin. These new generation valves are indeed a game changer and will offer many patients with severe AS not only an alternative treatment with TAVR/TAVI, but also a more accurate and safer TAVR/TAVI procedure.